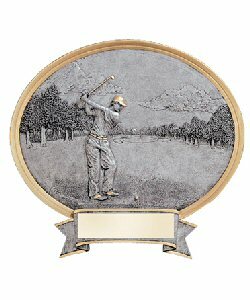 Three dimensional golf scene designed with the ultimate combination of pewter and gold finishes. This unique beauty is design to stand alone on a desk or hang on a wall. Up to three lines of free custom engraving.